Properly secure your tool or weapon for improved tactical responsiveness and control in any situation with a premier Kevlar lanyard from Attach and Secure. Our origins lie in the design and provision of the Attach and Secure Lanyard which was developed in Northern Ireland for police use in the 1980s. The Attach and Secure Lanyard was originally designed to prevent weapon loss, and is now widely used by Police, Para-Military, Military, Prison Services and Special Forces around the world. If an item that needs securing is of significant value, it makes no sense to use a generic or plastic product to achieve this objective. A valuable, high quality item deserves a lanyard of similar virtues. The professional-grade Kevlar and moulding are water, UV, and corrosion resistant, giving you all-weather reliability even in the toughest climates and conditions. Used by security forces and operators all over the Baltic region and Middle East, these lanyards offer unbeatable strength and resilience. It is NATO codified, having been operationally proven in all climates and seen service in the Falklands, Iraq, Afghanistan and Bosnia. 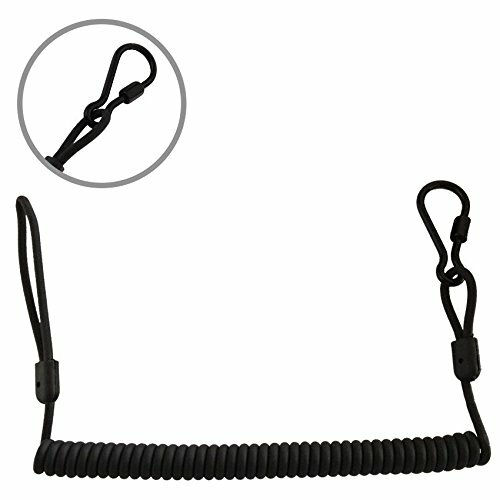 Click 'Add to Basket' above to get this heavy-duty, military-grade lanyard to help keep your weapon close and safe while moving or traversing terrain. Heavy-Duty, Cut-Resistant Kevlar - Boasting upwards of 265lb of breaking strain, these braided lanyards ensure your weapon stays ready in close-combat situations. All-Weather Resistance - Along with improved flexibility and break strength, each coil is UV resistant, impervious to hot and cold environments, and retains shape. Multipurpose Versatility - Choose our coiled Kevlar lanyards for personal, security, or military use with all your favorite or issued rifles and weapons. Military-Grade Guarantee - Every Attach and Secure product is backed by unbeatable quality assurance and long-term durability for a risk-free purchase you can actually trust. If you have any questions about this product by Attach and Secure, contact us by completing and submitting the form below. If you are looking for a specif part number, please include it with your message.